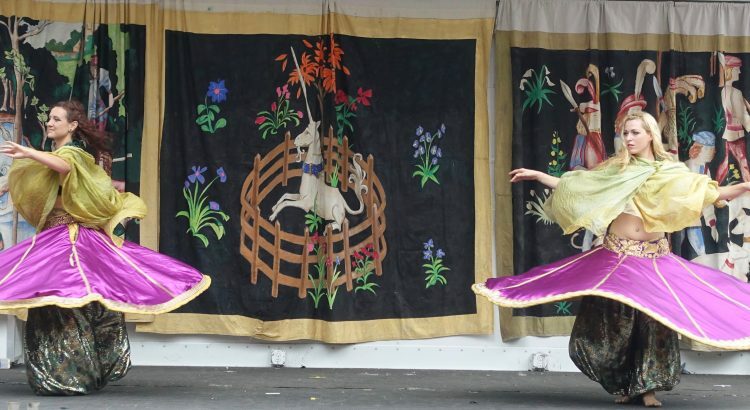 The following videos are the excerpts from performance by Mystical Muses at Medieval Festival held at Fort Tryon Park. The duo dazzled the audience with their talent and amazing skills. The show consisted of combining belly dance, tanoura (constant spinning dance), poi, hula hoop, balancing objects on the head all while constantly moving to the music!